GBL's S14 LED bulb is available with 8 LEDs or 16 LEDs. This replaces an 11 Watt 11S14 incandescent bulb but only uses 1.4Watts, last 10 times longer, has less heat output and can handle the stress from flash & chasing sign systems much more efficiently. Contact us for our most up to date LED S14 option. This S14 LED light bulb is popular for use as architectural border and accent lighting, theater marquee lighting, sign lighting, string lighting, festival lighting, amusement park lighting and hotel & casino lighting. Used in many High Profile Energy Saving Retrofit Installations In New York, Las Vegas, Atlantic City, Macau, Buffalo, Vancouver Canada, California, Miami, Toronto, Paris, Mexico City and others. 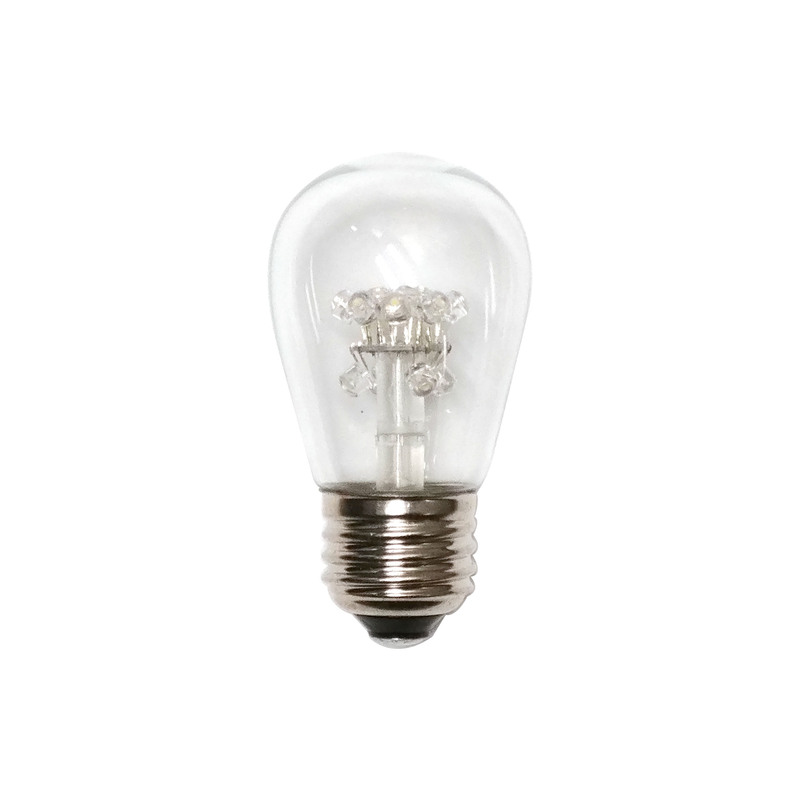 Replace a standard 11S14 bulb to a 1.4Watt LED S14 bulb that last +50,000 hours, has a low heat ouput and is durable with no delicate filaments. 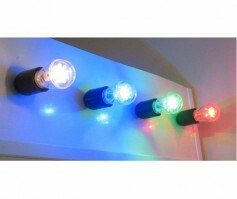 Available in Warm White 2800K temp a 3000K Warm White or a crisp Red, Blue, Green, Amber or White light. Custom colours available. Frosted now available. -Inexpensive to Operate, saves almost 90% electricity of incandescent 11S14 lamp.